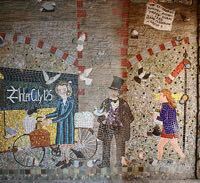 Dating from 1990, this mosaic is situated in the pedestrian tunnel under the St Thomas railway viaduct, next to Cowick Street. Sponsored by the City Council and British Rail it depicts both the GWR steam, and the modern High Speed Train era. On the right with the top hat is the figure of Isambard Kingdom Brunel, the engineer who brought the railway to Exeter. St Thomas was the headquarters of South Devon Railway that built the atmospheric railway to Newton Abbot, and which turned out to be a brave failure. 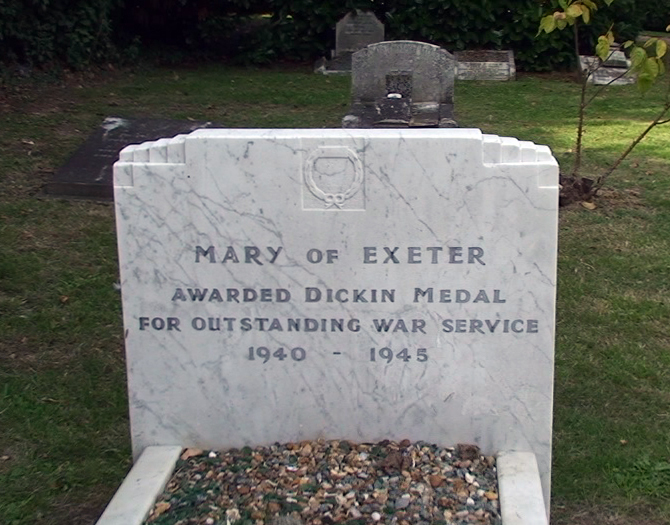 On the extreme left is a dedication to Mary of Exeter, a pigeon wounded in action, that was awarded the Dicken Medal for services rendered in the last war. During 5 years of war service she had to have 22 stitches for wounds received while returning from France. In 1942, she was attacked by a hawk carrying a message, needing 7 stitches. Five months later she was shot in the wing by a shotgun, requiring pellets to be removed. In 1942, a bomb damaged the basket in her loft–she was found by her owner, Charlie Brewer a cobbler who was based in West Street, waiting for him to return. On another occasion she was missing in action for ten days, before being found in a field with wounds to her head and back. Brewer made a leather collar to support her head. The mural was created by Elaine M Goodwin and group 5. The 30 ft long mosaic is a little dirty, but in general good condition. 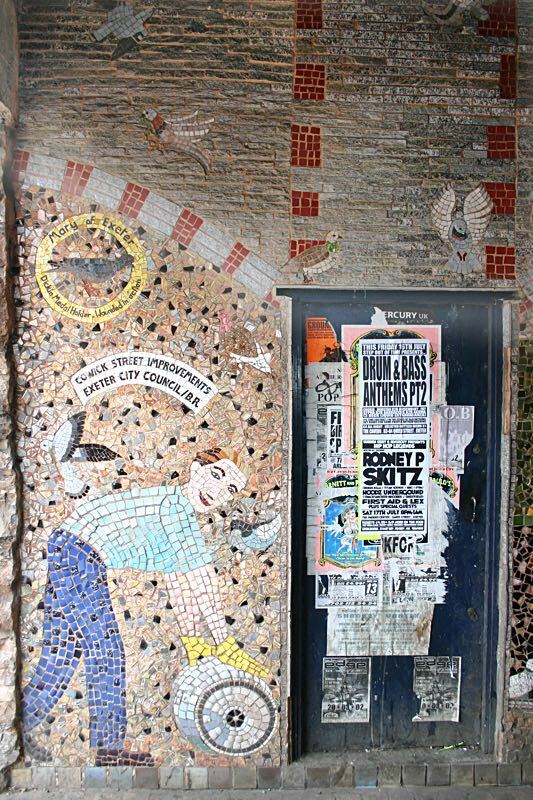 You could spend a day counting the pigeons in the mural but if you don't have the time the answer is 90. If you get 91, it is because you have counted a parrot. The left and section with the dedication to Mary of Exeter. 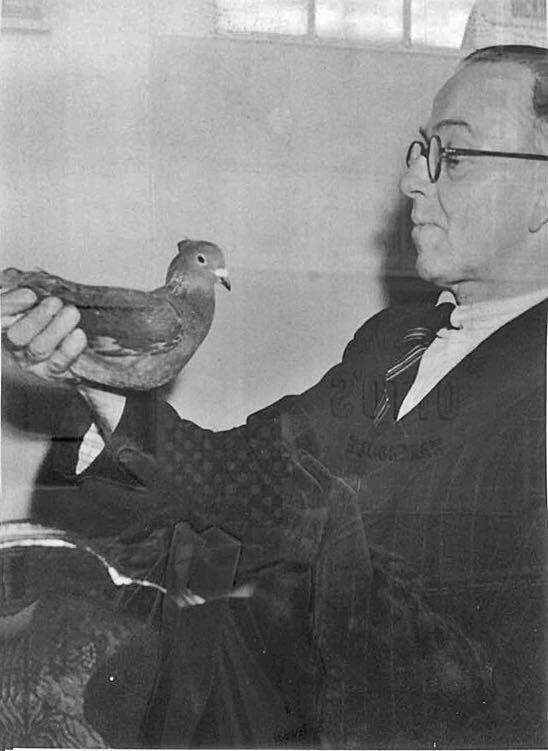 Charlie Brewer and his pigeon, Mary. 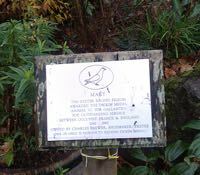 The grave of Mary of Exeter at the Ilford Animal Cemetery. Photo by Akabashi is used under Creative Commons. 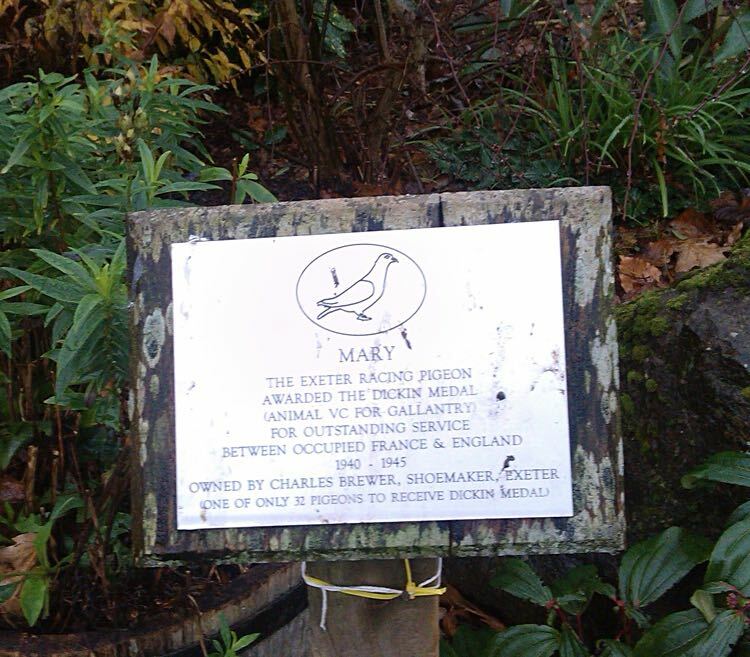 The plaque in Northernhay Park to Mary of Exeter. Courtesy Marcia Rowles.